The Debt Management Office (DMO), has called for more private sector involvement in sovereign sukuk, to boost infrastructure development and support Federal Government’s efforts towards sustainable economy. With the success recorded on the first N100 billion Sukuk bond issued last year, the Federal Government, the DMO has unveiled the second N100 billion sovereign Sukuk, which offer is expected to close on December 17. 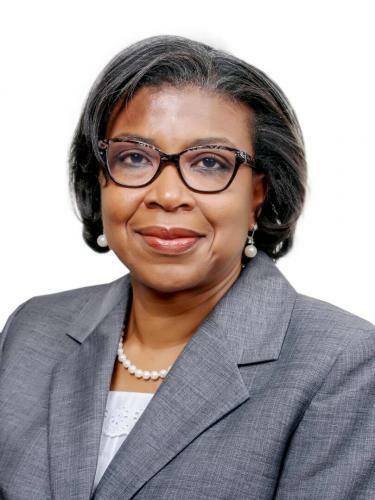 The Director General, DMO, Ms Patience Oniha, while addressing stakeholders at the sovereign Sukuk public offer-investor forum, in Lagos, at the weekend, said that the first N100 billion Sukuk bond, showed that the Nigerian financial market and investors are becoming more sophisticated with new trends. According to her, this calls for more participation by the private sector and retail investors, to accelerate efforts aimed at revamping the economy. She pointed out that more involvement in the sukuk bond would help to create a stable portfolio that would be invested in infrastructure development since funds from the Sukuk bonds are strictly for capital projects especially road infrastructure. The bond, which aims to fund road infrastructure across the six geo-political zones, is payable semi-annually for seven years, and is at a rental rate of 15.74 per cent to be due in 2025. According to her, “We are not yet in the best place; we are in a good place. We want to see much more enthusiasm from the private sector as well as retail participation, which is currently put at five per cent. She explained that the nation’s debt profile remain moderate; adding that the increasing debt service is being managed by growth in revenue through the government’s efforts in introducing revenue mobilization initiatives aimed at encouraging tax payers to regularize their tax status. According to her, the 2017 N100 billion Sukuk, which was 5.8 per cent over-subscribed, and ensured the execution of road projects across all regions of the country, was an affirmation of investors’ confidence in the nation’s economy. She added that the main objective of the second Sukuk issuance is to sustain the rehabilitation and construction works on 25 key economic roads in the six-geopolitical zones with three additional roads to enhance accessibility. Deputy Managing Director, FBNQuest Merchant Bank Limited, Taiwo Okeowo, said: ‘‘we are happy to be participating in this initiative which will contribute to narrowing the country’s infrastructure deficit. “With the issuance of the first Sukuk offer, we were able to champion a robust investment drive, a demonstration of FBNQuest Merchant Bank’s strong distribution capacity. The DMO said the sukuk qualified as securities in which trustees could invest under the Trustee Investment Act, and as government securities within the Company Income Tax Act (CITA), and Personal Income Tax Act (PITA), for tax exemption for pension funds. It will also be listed on the Nigerian Stock Exchange (NSE), and on FMDQ Over-The-Counter (OTC) platform and be classified as liquid asset by the Central Bank of Nigeria (CBN).